From the Journal Register, Medina, NY, May 10, 2013: Gaines, NY â€” Janice B. Thaine, age 86, died May 10, 2013, at the Martin Linsin Residence. She was born January 24, 1927 in the Town of Gaines, a daughter of the late Everett and Florence (Bates) Barnum. She was a life member of the Gaines Congregational United Church of Christ and the Cobblestone Society where she served as a tour guide for many years. Janice was a wealth of knowledge about local history and was the former Deputy Historian for the Town of Gaines. She enjoyed singing and coordinating programs for the Cobblestone Society, Town of Gaines and the Gaines Congregational United Church of Christ. Janice was a former member of the Orleans Chapter D.A.R. One of her greatest joys was having family and friends over to her house. 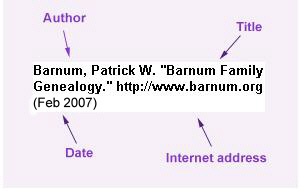 She was predeceased by her husband, Gerald in 1999; two brothers, William and Eugene Barnum. She is survived by her loving children, Gary Thaine of Albion, Gene (Sue) Thaine of Oakfield, David (Marilyn) Thaine of Kendall, Tom (Marsha) Thaine of TX, Anita (Brad) Nudd of Medina, Michael (Susan) Thaine of Albion; eight grandchildren, Justin (Vicky) Thaine, Travis (Heidi) Thaine, Adam Thaine, Jessica (Tyler) Swanger, Stephanie, Aaron, Abigail and Kyle Thaine; two great-grandchildren, Carter and Ella Thaine; sister, Elda (Howard) Loomis of PA; several nieces, nephews and cousins. The family will receive friends at the Christopher Mitchell Funeral Homes, Inc., 21 W. Avenue, Albion, Sunday, May 12, from 4:00-8:00 PM, where her funeral service will be held Monday at 11:00 AM. Interment will be in Mt. Albion Cemetery. Memorials may be made to Hospice of Orleans, P.O. Box 489, Albion NY 14411; Gaines Congregational Church, 14023 Ridge Rd. W., Albion, NY 14411; or Albion High School Alumni Foundation, P.O. Box 345, Albion, NY 14411.